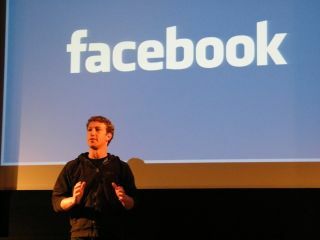 Mark Zuckerberg, CEO of Facebook, took to the stage of the Web 2.0 Summit in San Francisco this week to talk about the recent launch of Facebook Messages and the ongoing spat with Google over sharing information. Zuckerberg chose the day before the summit to release Facebook Messages, the company's new email/IM mash-up, so a lot of his speech was recycled from the launch. But he did explain a little about Facebook's stance on not allowing Google Contacts to comb through email information on the site and import details into Gmail – something which Google allows Facebook to do. Zuckerberg wasn't exactly clear with the ins and outs of the issue with Google but did say that the information held by Facebook is a lot different than that of Google's. "Email is a little bit different from social networks," he said. "In an email program, if you have an address book, you put all the addresses in there, so that's very much your information. "In a social network...if you upload a photo album or a blog post, that's yours. But there's information that's clearly not yours, [like] someone else's photo album. "But then there is information that's somewhere in the middle - maybe a photo they you took but I tagged.What are my rights to that?" Google changed its terms and conditions to effectively stop Facebook from using its Contacts API to acquire new contacts, but Facebook soon pushed people through to the page where they can download their contacts from the search giant and export them into the social network. That led to Google putting up a snarky message, asking users if they want to export contact information into a site "that won't let you get it out".